A: Yes it will fit. The upgrade from stock most SJ FXT owners start with is the OEM Subaru STI 20mm bar. The reason I am responding is that I am looking at this same Whiteline bar as my next upgrade. I'm not going to mention the part number or price. You can check out the Forester Forum for info. Here is my 2015 with an OEM STI 20mm bar. I'm running the Cusco swaybar braces, chassis bracing, and rear diff carrier, Whiteline swaybar locks, endlinks, adjustable toe arms and diff locks. ISC lower control arms all purchased from Rallysport Direct. Also shown are my BC DR Series Coilovers which they also sell. However, mine were custom built and valved ordered directly from BC. At least 75/80% of my performance parts were purchased here. I'm still waiting for my sponsorship! Will this fit a 2018 wrx? A: Please refer to the fitment chart below at the bottom of the page. Does this fit with a 2008 Forester XT Sport with the STI mounts or this needs to use the stock Forester mounts? A: We can only confirm the fit on the Forester with the forester components but this is also confirmed for some STI, so there is a good chance it will be compatible if you have swapped to some STI components. Will this work without aftermarket end links? I'd like to install the swaybar and buy the endlinks later. A: Stock endlinks can be used, but we advise you to install the bar with aftermarket endlinks. The stock endlinks are prone to bending and breaking when installed with a stiffer aftermarket sway bar. Hi, I've installed the 19mm Subaru RSB, would the Whiteline Rear Sway Bar 22mm be a BIG improvement? The 19mm upgrade didn't wow me. A: This 22mm rear sway bar would be a nice improvement over a 19mm sway bar. A: A generic sway bar conversion chart would estimate the increased rigidity of the 22 mm bar to be about 80% stiffer then the 19 mm. It's be safe to assume that most individuals would find this to be a rather noticeable difference in performance. Will this fit a 2007 Legacy GT. I am interested in the Whiteline BSK011 Kit in which the BSR 49ZX is included for the rear but I want to confirm fitment. 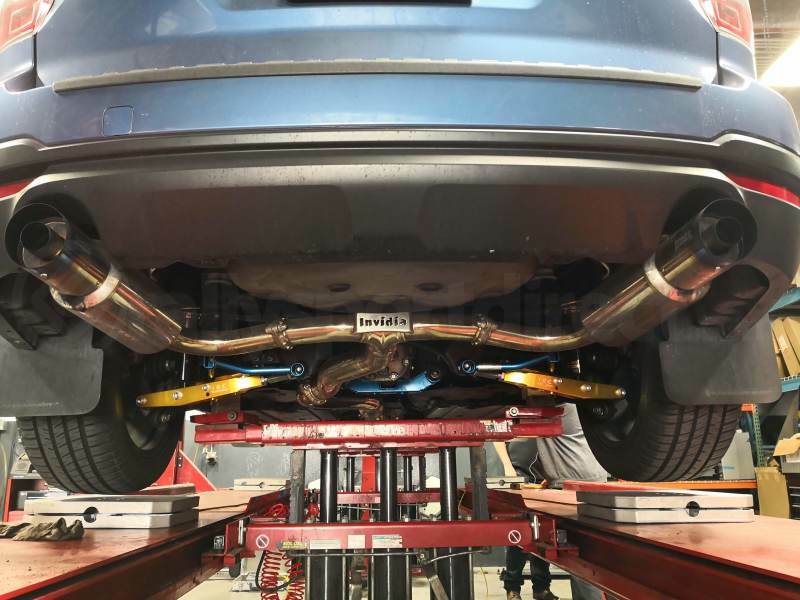 A: We cannot confirm fitment of BSR 49ZX on a 2007 Legacy GT. If you would like any recommendations with sway bars that will fit, please contact our customer service! A: Hi UnderOath, The BSR49 family of sway bars is not designed to work with the 2007 Legacy. The correct rear bars for this model Legacy would be the BSR39 family. The correct sway bar kit is also BSK014. will this fit a 2011 2.5i premium hatch? A: If your car came with a rear sway bar from the factory, then this can be used as a replacement. A: Hi Ssssssantimonio, This sway bar kit (BSR49XZ) would be correct fitment for any 2011 Impreza that came from the OE manufacturer with a rear sway bar installed. To the best of my knowledge this includes you Premium trim Impreza as I believe only the base model's did not include a rear sway bar. This says it will not fit my 2016 STI, is that simply not updated or is something changed? 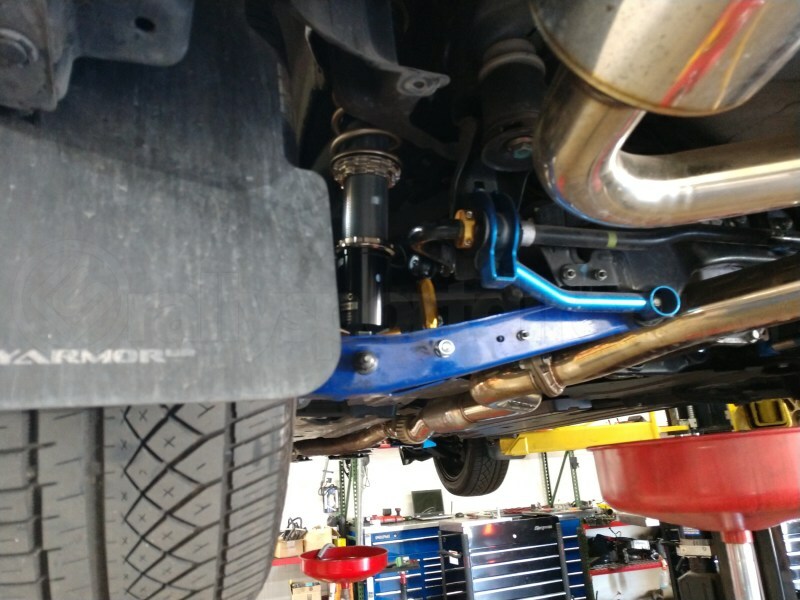 A: Hello, We have been unable to update our source listing, but this sway bar (and any other parts listed for the 2015 STI) will in fact fit on the 2016 STI as well. Does the car have to be on a loaded suspension the whole time when doing the install for this swaybar along with the endlinks? or can i do the install on jack stands? A: We recommend having the vehicle on ramps with the suspension loaded while installing swaybars. You indicate that this product is compatible with 2008-2015 WRX / STI. Does that mean that it could be possible from my friend who own a WRX/STI 2015 to upgrade his rear sway bar to the Whiteline 22mm and amortize the cost by selling me (2011 WRX owner) his stock rear 20mm sway bar (20451VA000) ? A: We do not have the ability to confirm fitment for parts we do not sell. With these and the kartboy endlinks, will I need anything else? Spacers? A: The spacers are for the front not the rear. Sounds like you are good to go. does this come with the whiteline lateral locks like the front swaybars they sell?, the picture doesn't show them. A: No, these will not include the Lateral Locks. Everything that is included as pictued. You will need part # WHI KLL122 for these Sway Bars. A: I can confirm that theis kit does indeed come with lateral locks include. I bought through a different vendor while I was purchasing a set of SPL Rear camber arms (rallysport direct does not carry) I also bought a lateral lock kit, now I have an extra set. A: Yes, this will include a lateral lock set for the sway bars. Looking to improve the handling on my 2013 Legacy 3.6R, will this make that much of a difference? And does this include all the parts needed to install? A: This would greatly improve the handling of your vehicle and is confirmed to fit your vehicle. It is recommended with swaybars to also install endlinks. does this come with the tourqe lbs sheet? A: Whiteline does not have that information available. will this fit my 08 2.5i? if not which rear sway bar and links will? A: We recommend using the BSR51Z - 20mm or BSR51XZ - 22mm swaybar for your 2.5i which will include all necessary parts to install on your vehicle since it didn't come with a rear swaybar from the factory. We can order either of these bars in for you. Please contact us by phone or chat to arrange that. What is all in the box? In other word what else is needed to install this on my 2010 Legacy GT Limited? A: This should include everything you need to install this on your LGT, it will come with the swaybar, the support braces, bushings, hardware and a small bag of grease for the bushings. You will reuse your stock endlinks, or you can get upgraded endlinks as well, but other than that this will bolt up just like stock. Thanks. What sway bar size would work best for the front and rear for my 2009 wrx sedan? A: That is a matter of personal preference. Generally, a bigger front sway bar will give the car more understeer where a bigger rear bar will give the car more oversteer. Will this fit the 2011 WRX Sedan? A: Yes, this will fit both the 2011 sedan and hatch. Thank you. what end links work best with this RSB? A: We have had very good luck with the Kartboy (KB-017-08REAR), Cobb (915400), and with the Whiteline (KLC066). The Cobb and Whiteline adjustable units allow you to fine tune the say bar by eliminating any possible pre-load along with compensation for ride height.